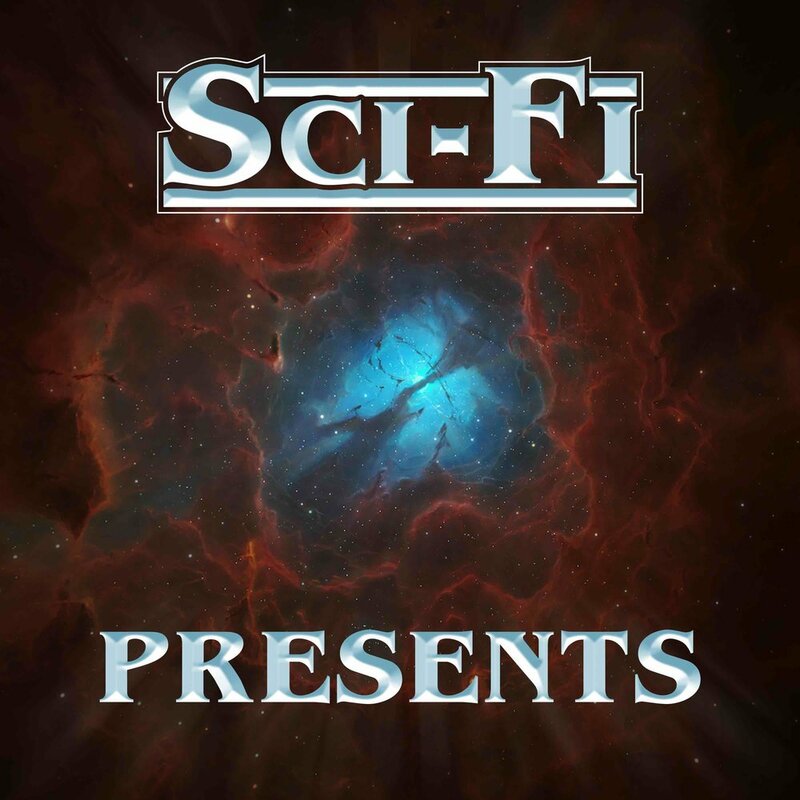 CERBERUS REX is an hour-and-a-half long science fiction audio adventure that is available to stream and download on SCI-FI.COM and on SCI-FI PRESENTS, SCI-FI.COM's podcast. This Media Kit includes a streamable version of the show and additional information. My name is Jason Hardcastle and I created the show. I am sending this to you in the hopes that you will consider covering or reviewing CERBERUS REX and/or providing feedback. For a link to the show's main page in any coverage or review, please use "sci-fi.com/cerberusrex" and not this Media Kit page. Please feel free to post the trailer, any image or logo on this page and links to the main site, the show's main page or the podcast anywhere. Please do not post or stream the show itself, in whole or in part, on any other site or platform, or otherwise distribute the show in any way. All rights to the show are retained and reserved. CERBERUS REX is an hour-and-a-half long science fiction audio adventure. Dr. Anabela Correia, a professor of astrophysics at Hawksmoor University, travels upon request by a former colleague to Well Station, a research facility performing experiments on a strange phenomenon in an underground cave. A natural explorer, Ana rushes to view the odd marvel first-hand and, accompanied by Well Station Security/Containment Officer Benjamin Wyngarde, is soon staring down at a mystery of physics hidden deep. $1.99: Download as an .M4A or .WAV on our site. The show was released on SCI-FI.COM in October 2017. Merchandise and a track from the score are available for purchase on the show website. SCI-FI.COM and SCI-FI PRESENTS will feature additional original content going forward. Low. No dirty business. A few "S" words is as bad as the language gets. CERBERUS REX is a science fiction adventure in audio form. The story is told entirely through dialogue, sound effects and music. There is no narration. The story was crafted from inception for a listening audience. We have action set pieces, we change environments, we convey movement and action, all with sound. To complement this approach, we structured and paced the show to be streamlined and tight—A leads to B leads to C leads to D and we’re done. The list of influences is long. In terms of the spirit of adventure: Robert Jordan, Wendy and Richard Pini, Terry Goodkind, Clive Cussler and Tad Williams. There are bits of Lovecraft, Barker and King in there. In terms of structure and action: John Carpenter, James Cameron, Steven Spielberg, John McTiernan, Walter Hill and Michael Crichton. And in terms of dialogue and writing tone: Shane Black, William Goldman and Nelson DeMille. So... a bunch... but we strove to be unique in our voice, particularly with respect to our main character, Dr. Anabela Correia. At the beginning of the story, Ana is an explorer stuck in academia. Ana is aggressive and tough but fun. She quotes books and movies and when teaching class, she’s Socratic so she’s scary but she’s more animated/fun-scary, less Paper Chase-scary. She has a fundamental need to challenge, discover, observe and analyze, and she eagerly accepts the call to adventure. She is consistently optimistic without being naïve. When faced with a challenge, she will out-think it, not out-fight it. Her code in the story is: think cosmically. In contrast, character Benjamin Wyngarde, a Security/Containment Officer at Well Station, would fit well in a 90s action movie. Captain of the team, everyone’s big brother. If your dad ever fell asleep reading a book in a recliner, Wyngarde could have headlined that book. Thematically, CERBERUS REX is about the evolution of the concept of heroism. Each of the main characters has a strong moral center but Wyngarde is the old guard that revs engines and unloads clips and Ana is the new hero that thinks cosmically. As events unfold, she makes the decisions that drive the story. Ana is the adventure’s hero. I made this because I thought it would be awesome if it existed, and I am excited about how it turned out. So much of CERBERUS REX works on (i) the strength of the performances, led by New York-based actors Natali de Assis (www.natalideassis.com) as Ana and Michael Joseph Murray (www.michaeljosephmurray.com) as Wyngarde and North Carolina-based voice actor George Washington III as John Brant (www.voevolution.com), a character that shows up later in the show and is a bit like old Bruce Wayne in Batman Beyond, and (ii) our exceptional score by composer Benjamin Goldman (www.benjamingoldmanmusic.com). Everyone involved-- the actors, our sound folks, our artists and designers-- did fantastic work and I am proud to present the final product of their combined efforts. Principal dialogue was recorded at Dubway Studios (www.dubway.com) in downtown Manhattan, using New York City-based actors and sound engineers. Additional dialogue was recorded remotely by voice actors across the country. The full cast and crew list is set forth in Section 7 below. Composer Benjamin Goldman (www.benjamingoldmanmusic.com) is an award-winning composer who specializes in writing and recording music for film, television, advertising and other media. His work can be heard in the feature film, “Pearl: Harbor: The Accused”, the ongoing series “Thomas Creator Collective” and the upcoming game, “Exile”. For CERBERUS REX, Ben created an original score that is theme-based and incorporates inspiration from classic Hollywood adventure scores. CERBERUS REX is a Heorot Media production. Heorot Media is an independent digital media company and this show is its first release. "That mystery of physics was awesome. And so was this whole production." "This is a cut above ordinary audio drama. This production fully achieved the “movie in your head” description that audio drama often gets. The sound allowed this drama to pull off something particularly interesting and powerful." "Correia is such a well-written character, that I probably could’ve listened to her deliver an astrophysics lecture for the whole hour and a half. She is immediately engaging in both character and performance. Natali de Assis does a wonderful job as the lead voice actor of Cerberus Rex’s inquisitive protagonist." "I must confess: I thought I would casually listen to this podcast while I painted my son’s bedroom. Instead, I sat down on the floorboards and listened intently." "I love audio dramas and I was excited to give Cerberus Rex a listen since it promised to provide an experience the press release claimed was inspired by John Carpenter and H.P. Lovecraft. That’s some big shoes to fill…and Jason Hardcastle (the creator) and crew manage to pull it off. Cerberus Rex is one hell of an adventure and the production value is through the roof for the 85 minute long show." "This hour-and-a-half long audio adventure features a gripping narrative brought to life by a cast of committed voice actors, lush musical score, and elaborate sound effects." "In our modern always-on-binge-watching-cgi-overloaded world, I think it is beneficial for us to disconnect once in a while, sit back with a favorite beverage, close our eyes, and allow rich audio dramas to transport us away from our daily grinds and into worlds of the fantastic. For we sci-fi fans, projects like CERBERUS REX are a great place to start." "I highly recommend checking “Cerberus Rex” out. I can’t say too much because it’s so well done and full of twists, I want you to feel the same anxiety I did." “Cerberus Rex carries on that great tradition of sci-fi audio shows that many of us started our love of the genre with." CERBERUS REX IS A HEOROT MEDIA PRODUCTION. ALL RIGHTS ARE RETAINED AND RESERVED. THIS PROGRAM IS PROTECTED PURSUANT TO THE PROVISIONS OF THE LAWS OF THE UNITED STATES OF AMERICA AND OTHER COUNTRIES. ANY AUTHORIZED DUPLICATION, DISTRIBUTION, SALE, TRANSMISSION, REPRODUCTION AND/OR EXHIBITION, IN FULL OR IN PART, MAY RESULT IN CIVIL LIABILITY AND CRIMINAL PROSECUTION. NAMES, CHARACTERS AND EVENTS IN THIS PROGRAM ARE FICTITIOUS. ANY SIMILARITY TO REAL NAMES, PERSONS, CHARACTERS, EVENTS OR HISTORIES IS COINCIDENTAL AND UNINTENTIONAL. Please feel free to contact me with any questions, feedback or requests for information at contact@heorotmedia.com or via the contact box below. I will get back to you quickly.